This is a 31 page introduction to programming with pointers and memory in C, C++ and other languages. It explains how pointers and memory work and how to use them -- from the basic concepts through all the major programming techniques. Julia is a high-level, high-performance dynamic programming language for technical computing. Here's a collection of notes and introductory paragraphs that comprise a gentle introduction to the Julia programming language, in the form of a wikibook. This book's goal is to explain rudimentary J using language familiar to a C programmer. J is a language of computation: it lets you describe what needs to be done without getting bogged down in details. J expressions deal with large blocks of data. 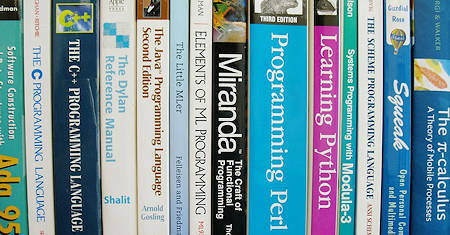 Dylan is a new programming language, that is both object-oriented, like C++ and Java, and dynamic, like Smalltalk. This book will be useful to anyone learning dynamic, object-oriented programming, whether it be in Dylan, Java, Smalltalk, or Lisp. AMPL is a language for large-scale optimization and mathematical programming problems in production, distribution, blending, scheduling, and many other applications. This book is a complete guide for modelers at all levels of experience.